Several new berths have been added for inland shipping in the mouth of the Afrikahaven, Amsterdam. The berths, which became operational last week, are specially designed for tankers carrying flammable materials (marked by a blue cone symbol). The addition of the new berths became necessary when the existing berths designated for these types of vessels were removed due to the construction of new – or extensions to existing – terminals. There had also been a need for some time for a second coaster berth in the vicinity of the Amerikahaven, alongside the current berth in the Minervahaven. The works carried out between November 2017 and February 2019 comprised the excavation of five hectares of land and the diversion of a flood barrier (dam) across a length of 200 metres. This cleared the way for the construction of a total of 18 berths for inland navigation vessels measuring up to 135 metres in length. The project also includes the addition of three mooring quays plus mooring piles, and the construction of a concrete quay that will serve as a vehicle transfer point and coaster berth. A water dispensing station will be added to the quay, which will provide drinking water to vessel operators, plus a waste processing facility where they can leave their domestic waste. The works have been offered to the market by public tender. Contractors were rewarded for their sustainability efforts if they disposed of as much soil from the newly available land by vessel as possible (a total of 500,000 cubic metres has been excavated, the equivalent of 10 times the contents of the ‘Havengebouw’ building). This contributed greatly toward reducing the amount of lorry traffic during this operation. Construction of all quays was completed during the final stage of the project. Some of the original natural vegetation will be restored along the area’s periphery, improving its visual appeal. Part of the excavated soil was earmarked for the construction of the Marker Wadden man-made archipelago along the Enkhuizen-Lelystad dike. 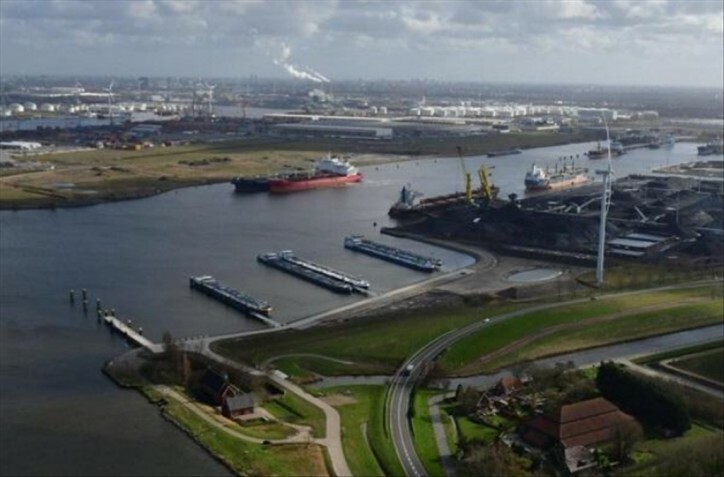 In addition to boosting the development of the Amsterdam port area, the new berth therefore also helps to preserve – and even further enhance – the Markermeer’s natural assets.